It was April, 1972. The Institute for Advanced Study in Princeton, N.J. The home in the 1950s of Albert Einstein and Kurt Gödel. Thomas Kuhn, the author of “The Structure of Scientific Revolutions” and the father of the paradigm shift, threw an ashtray at my head. Taken by itself, this sort of flamboyant anecdote seems like pure Morris, consonant with the other series he has published with the New York Times as part of their Opinionator section — series that have explored, among other things, the hagiography of Abraham Lincoln, the perceived credibility of various typefaces, and the contrasts between photographic evidence and photographic art. As the documentarian behind such films as Gates of Heaven (the one about the pet cemetery), The Thin Blue Line (the one that introduced re-enactment into true-crime docs), and The Fog of War (the one with Vietnam-era Secretary of Defense Robert McNamara), Morris has been given a wide berth to explore his interests in public. But the articles about Thomas Kuhn, collectively titled “The Ashtray,” and now reworked into the book The Ashtray (Or the Man Who Denied Reality), seemed rawer than usual. Morris now seemed not fascinated or amused — his usual registers — but angry. It was as though, after nearly forty years since his run-in with Kuhn at Princeton, the time had come for revenge. But if this was revenge, it was revenge of a strange sort, taking the form of extended diatribes against postmodernism, the historiography of science, and Kuhn’s classic work on scientific revolutions. Revenge, of course, is sweet. But it can also be hard to get. 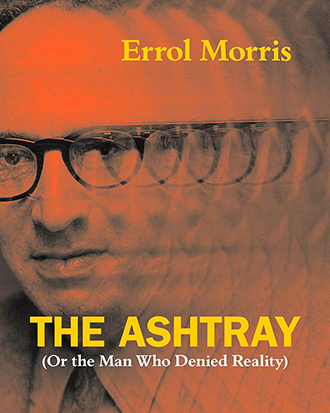 “The Ashtray” centers on Morris’s brief stint as a graduate student — he lasted a year — in what was then Princeton’s Program in the History and Philosophy of Science. The program was “sort of a consolation prize,” in his defensive version, for being rejected from Harvard’s history of science program. During this time, Morris had the bad fortune to fall in with the physicist, philosopher, and historian Thomas Kuhn (1922–1996). Kuhn’s fame rested on his widely influential 1962 book The Structure of Scientific Revolutions, in which he argued that the history of science was punctuated by occasional “paradigm shifts.” Kuhn held that scientific theories from before and after a scientific revolution cannot be compared in a straightforward way; they are “incommensurable,” because the meanings of familiar terms change in unexpected ways as scientists go from one mode of description to another. One drastic consequence of incommensurability is that there isn’t any such thing as absolute progress from one paradigm to the next — say from before the Copernican Revolution to after, or from classical physics to quantum physics. A new paradigm may be more complete, or simpler, or more useful for answering certain questions compared to the preceding one, but it is not, strictly speaking and on the whole, objectively better. Kuhn’s skepticism, in Morris’s view, is poisonous, leading to a cultural devaluation of objective truth. Tellingly, Morris only glancingly notices Kuhn the historian, whose The Copernican Revolution: Planetary Astronomy in the Development of Western Thought (1957) and Black-Body Theory and the Quantum Discontinuity, 1894–1912 (1978) are both carefully documented, in apparent contradiction to the recklessness Morris alleges. In a story recounted in the first article, Morris turns in a thirty-page paper, double-spaced. 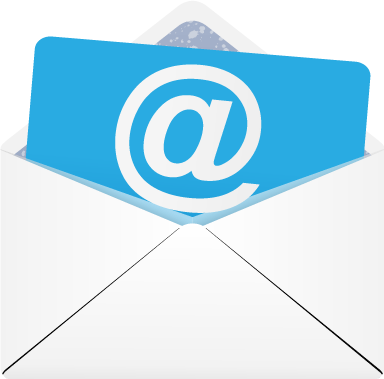 Kuhn returns a thirty-page response, single-spaced: “No margins. He was angry, really angry.” Morris goes in to confront Kuhn and charges into an argument. If paradigms are incommensurable, young Morris asks, how is the history of science possible? “He’s trying to kill me,” mutters Kuhn, head in hands. When Morris suggests that maybe it’s still possible “for someone who imagines himself to be God,” Kuhn throws an ashtray at him. Soon thereafter, Kuhn has Morris kicked out of Princeton. Errol Morris projects have long featured monomaniacal obsessives, in ways that are both positive (Stephen Hawking’s retreat into physics in the 1991 documentary A Brief History of Time) and negative (Fred A. Leuchter’s electric-chair designs and Holocaust denial in the 1999 Mr. Death). At one point in Wormwood, Morris’s 2017 Netflix miniseries about Eric Olson’s investigation of his father’s death in 1953, Olson clarifies that when he first asked himself whether the CIA had murdered his father, he didn’t know that the question would take up the next forty years of his life. For “The Ashtray,” Morris casts himself in a similar role. For monomaniacs, it should be noted, narrow focus can turn open fields into blind alleys. In one of the “Ashtray” articles, Morris comes across an interview where Kuhn explains that his discussions of incommensurable paradigms were inspired by the mathematical notion of incommensurability. We can see a simple example of this notion in the relationship between the sides and the diagonal of a square. If the side of a square is exactly 1 foot long, then its diagonal measures √2 feet, a value that can’t be expressed as the ratio of two whole numbers. When the Greeks discovered this, they reasoned in terms of the lengths of line segments, so incommensurability for them meant that the diagonal couldn’t be defined as a ratio of multiples of the side of the square. Kuhn borrowed this as a metaphor for how paradigms before and after a scientific revolution might use the same words to describe their theories, while labeling different worlds. Not satisfied by this vague correspondence, Morris asks for a more precise account of what mathematical and Kuhnian incommensurability have to do with each other. In search of an answer, he dives deep into the history of Greek math, vividly recounting his quest after an ancient book on Pythagoras — down an elevator, through a tunnel, into the mysterious lower floors ... of the Widener library at Harvard. He even provides the book’s call number. Morris wants to find out whether the legend might be true that Pythagoreans murdered Hippasus, the philosopher said to have first uncovered the secret of incommensurability, upending a central plank of Pythagorean mathematics and metaphysics. Morris admits that Kuhn never even mentions the legend. But maybe the metaphor is that Hippasus’ upending of conventional math is like a paradigm shift that the guardians of the old paradigm tried to prevent by killing him? The story itself is likely false, Morris concludes — and so, ironically, Kuhn’s idea is based on “a Whiggish interpretation of an apocryphal story.” Which is an okay punchline, but has almost nothing to do with Kuhn. The slander piles up. Kuhn is compared to Jorge Luis Borges’s character Pierre Menard and to Humpty Dumpty — both given as examples of the madness of relativism — and to the jailer in Jeremy Bentham’s Panopticon, who alone escapes this relativism because he can see all the jail cells (read: paradigms). An anecdote about Kuhn becoming agitated over how people had been convinced by Hitler is used to imply that Kuhnians, those truth-deniers, are easy marks for Nazis. By the last entry in “The Ashtray,” Morris seems convinced that we, like him, will detest anything stinking of Kuhn. “You won’t be able to understand it,” he prefaces one long Kuhn quote. “Just take my word for it.” Morris closes his series by reminding us that if we were about to die on the electric chair, knowing we were unfairly convicted, we wouldn’t entertain any postmodern doubts about absolute truth, now, would we? Hmm? “The Ashtray” was published online. This had the benefit — pixels are cheap — of allowing many idiosyncratic pictures to accompany the text, from photos of ashtrays and cigarettes to paintings of the Pythagoreans by Raphael and Rubens. It also had the decidedly mixed blessing of reader comments, which might lead anyone into postmodern doubt. Steer clear of fact checkers, Mr. Morris. The ashtray video is a work of art, as is your essay. Since you take the trouble to mention the Pall Malls, which he never smoked (it was Camels), I wonder about the accuracy of the throwing episode. In all my years with him, I knew my father to be vehement but never violent. There is apparently yet another Thomas Kuhn here, one I don’t think he would have ever anticipated: the Thomas Kuhn who threw the ashtray. Speaking as his son I have to say that, try as I might, I just can’t get myself to believe that he threw that ashtray. Could it be? Could Errol Morris, that vigorous defender of truth, be lying? I would like to suggest that this proliferation of Kuhns — the violent Kuhn, the vehement but personable Kuhn, Kuhn the careful historian, Kuhn the reckless philosopher — is no fluke. Even if no one is lying about any of these seemingly conflicting images, and even if all parties observed the same person, they might wrap those observations in such different words that they end up disagreeing. This happens all the time. Indeed, allowing that it happens also in science gets us a long way toward understanding Kuhn. The Ashtray (Or the Man Who Denied Reality) is now being published as a book, and it is both significantly less odd and significantly better defended than the articles that spawned it. In the preface, Morris now asks about the ashtray, “Was it thrown at my head? I’m not sure, but I remember it was thrown in my direction.” Kuhn’s Pall Malls have now become Camels. For the most part, Morris still battles a straw-man Kuhn. But much of the new stuff here is fascinating, nestled, as it is, among copious illustrations, between thick margins containing extensive footnotes. Whatever my complaints, The Ashtray is a lot of fun to read. Alongside the anti-Kuhn spleen, a positive argument is hinted at throughout these pages. The argument follows that of the American philosopher Saul Kripke, whose work in logic and philosophy of language — particularly his landmark Naming and Necessity (1980) — Morris posits as an antidote to Kuhn’s poisonous Structure. By Morris’s admission, it is unusual to bring Kripke to a Kuhn fight. After all, the interests of Kuhn (the social structure of science) and of Kripke (how names work in modal logic) don’t have a lot of obvious overlap. To understand Morris’s alleged connection, we should pause to revisit in a bit more detail the basic message of Thomas Kuhn. What exactly is Morris fighting? As many others have noted, Kuhn’s claims about science, history, and knowledge are all snarled. In places, The Structure of Scientific Revolutions reads more like a meta-myth than like straight history. Even converts might admit that its elements could fall apart in isolation. In Structure, Kuhn holds that science changes via two different modes: “normal science,” in which scientists solve puzzles within a given paradigm, and “revolutionary science,” in which scientists, compelled by unexplained anomalies, adopt a new paradigm that can explain them. These paradigm shifts are not fully rational. That is, according to Kuhn, the reason early adopters sign on to a new paradigm is not that it offers greater truth in any straightforward sense. For instance, early quantum theory was an ad hoc kludge. When Max Planck suggested that light from hot objects was emitted in discrete packets (multiples of a constant rather than values along a continuous spectrum), it wasn’t for any revolutionary purpose, but simply because he found that doing so could help him to fit experimental data. The reigning paradigm, mature classical electromagnetism, had been very successful, and there was little reason to doubt that it could explain the data in terms, say, of the microscopic constituents of ordinary solids. Early quantum adopters needed to be either ignorant or visionary (most were both) to suppose that such an explanation was not possible, and to suppose instead that the data suggested fundamentally new laws of nature. But once a new paradigm has matured, its ways of looking at problems and methods of solving them become so pervasive among scientists that the successes of prior paradigms are forgotten. Today, educated by quantum theorists and having read textbooks on quantum theory, few scientists are eager to revisit thermal emission in classical electrodynamic terms. “Normal” scientists — those working firmly within an established paradigm — press on using paradigmatic methods, making incremental improvements within an essentially stable conceptual frame. In all of this, Kuhn can be maddeningly imprecise. Indeed, Kuhn himself admits as much, writing in his postscript to the second edition of Structure that some parts of his “initial formulation” produced “gratuitous difficulties and misunderstandings.” Famously, he proliferates examples of paradigmatic markers — usually textbooks, such as Aristotle’s Physics or Newton’s Opticks — without ever clearly defining what exactly a paradigm is. But wobbles like these are not what bother Errol Morris. What gets under his skin is Kuhn’s strange insistence that changes in scientific paradigms change not only the way scientists investigate the world, but the very world itself. As Kuhn puts it, “In so far as their only recourse to that world is through what they see and do, we may want to say that after a revolution scientists are responding to a different world.” Morris takes this as a wholesale rejection of the real world, replacing the sturdy truth with a meaningless mess of mere paradigms that never really get at the world itself, trading the world for words. Language as an unmediated connection to the world? This sounds a little hard to understand. And it is, a little. In Naming and Necessity, Kripke discusses how proper names function in modal logic. If that sounds dry — well, again, it is, a little. But the parts of Kripke that Morris uses for his argument require some jargon, and we now step tenderly into the weeds. Philosophers since Kant have widely used the categories of a priori and a posteriori to discuss claims about knowledge. Roughly, a priori claims are ones that can be evaluated as true or false based on logic alone, without going out into the world and gathering evidence. For instance, “3 + 5 = 8” is true a priori. By contrast, a posteriori claims need evidence. “Our solar system has eight planets” is true a posteriori (stop, no crying for Pluto), as astronomers had to gather lots of observations to figure that out. While a priori and a posteriori concern how we gain knowledge of things, the categories of necessary and contingent — much used by Kripke — describe the nature of things in themselves. Kripke explains the difference between necessary and contingent by introducing another concept, that of possible worlds. Necessary truths are true in all possible worlds, while contingent truths are true only in some possible worlds. Possible worlds refer to the different ways the universe could be while remaining the same in certain metaphysically essential ways. Think of the worlds proposed by alternative history novels, or by thought experiments asking you to consider a world in which your parents never met. The same two examples work to illustrate the difference: In any of these worlds, we should expect the claim “3 + 5 = 8” to be true. We could therefore label this claim necessarily true. By contrast, a claim like “Our solar system has eight planets” (Pluto, come back!) is only contingently true, because we can easily imagine a universe only slightly different from our own in which the initial conditions of the solar system created a different number of planets. From these examples, one might suppose that necessary is just a synonym for a priori, and contingent a synonym for a posteriori. But Kripke takes pains to argue that this isn’t right, and he gives specific counterexamples. He has us consider the length of one meter, which was defined for well over a century as the length of a specific metal bar in France. When this definition was widely accepted, the claim “The Mètres des Archives is one meter long” was a contingent a priori truth: It was a definition (hence the bar was a meter long a priori), but we could easily imagine a different bar doing the job (hence its truth was contingent). Philosophers describe this as Kripke’s “causal theory of reference,” and Morris is mainly interested in how it applies to science. Kripke applied it to the famous case of Phosphorus, the morning star, and Hesperus, the evening star. Scientists learned through observation — that is, they learned a posteriori — that both are the same object: the planet Venus. Since, like Nixon, Venus is necessarily identical to itself (Venus can’t be anything other than Venus), the statement “Phosphorous is Hesperus” is a necessary a posteriori truth. Kripke suggests that establishing such truths might be the job of science more generally. Perhaps, to use another example from Kripke, gold is necessarily made up of atoms with 79 protons, because that’s what makes gold gold — regardless of what we initially thought about the substance or what we have learned about it since. Years ago I was challenged by a graduate student in the history of science: What do Kripke’s theories have to do with Kuhn’s? The question seemed naïve, even silly. Of course, they are related. They both focus on the relation between language and the world. Kripke establishes something that undermines the entire basis of Kuhn’s work — the necessary a posteriori. It may well be the ultimate goal of scientific inquiry. In the account of Morris’s Kripke, words pick out elements of the world, and as our views evolve, these terms are passed on and progressively refined. For a substance like gold, these investigations help us to figure out what the thing we labeled “gold” was all along. Anyway, contra Kuhn, we don’t have to worry about incommensurability in our vocabularies — since we’re talking about the real world, our underlying references are fixed! I’ve called the holder of this view “Morris’s Kripke” because Saul Kripke himself, as an interview subject late in the book, seems reluctant to co-sign for any claims as certain as those Morris ascribes to him. (Of a separate argument, Kripke comments, “Someone has written a whole book defending the view I portray as not only coherent but as the truth. I don’t know whether I agree with him completely” and “I’m not saying that this is the truth, but I’m arguing like a lawyer for my position.”) Such interpersonal dissonance keeps The Ashtray from being merely dogmatic. Morris seeks out luminaries to bolster his claims — but often they don’t. These interviews are worth reading. We find out Hilary Putnam’s views on translation and Steven Weinberg’s views on scientific histories. Kripke weighs in on Wittgenstein, and Noam Chomsky argues for the ambiguity of how words refer to the world in ordinary, non-scientific language. Morris tries to coax Ross MacPhee, a biologist studying an extinct species, to outline how the species’ essential properties can be defined retrospectively — yes, yes, the necessary a posteriori. Like most good conversations, these yield more questions than answers. Still, I can imagine closing The Ashtray feeling totally convinced. This would take place, I suppose, in the possible world where I’m an Errol Morris fan who hasn’t read any Kuhn. But in this world, I’m an Errol Morris fan who has also read some Kuhn. Morris might contend that I’ve been poisoned. In any case, I admit it: I have doubts. Whatever your views on Kuhn, this seems like good advice. It’s also the exact opposite of Errol Morris’s approach to Kuhn in The Ashtray. Of course, if Morris directly experienced Kuhn as a violent maniac, this is understandable; few of us are eager to consider our abusers as important thinkers. On the other hand, with over a half-century of continued appeal, Kuhn must offer something beyond dogmatism and a halo of ash. So what, in his anger, has Morris left out? Let’s start with how well Kuhn was able to capture the way science is actually done. Unlike Kripke, Kuhn was one of us, a Ph.D. physicist whose firsthand knowledge of “normal science” allowed him to document scientific investigations in sensitive detail. To fellow scientists, many of Kuhn’s claims seem less perverse than they are self-evident. When Kuhn discusses how paradigms define the way scientists approach the world, most of us will nod along, remembering the difficult years spent in reproducing classic experiments and solutions. The description of normal science as puzzle-solving within a paradigm certainly resonates with those of us actively searching for problems to tackle. By contrast, you’d be hard pressed to find a single working scientist who is out to discover necessary a posteriori truths. Nevertheless, I suspect that beyond the fetching jargon and neat anecdotes, most scientists would in fact disagree with Kuhn’s more radical claims. For instance, many physicists will agree that the world really is a certain way — that, to the best of our knowledge, everything really is made of relativistic quantum fields. For such physicists, Einstein superseded Newton not for any sociological reason, but because he got closer to the truth. Kuhn, however, was adamant that conflicting paradigms couldn’t be compared so directly. To him, Einstein and Newton described genuinely different worlds, not simply better and worse renditions of the same one we all inhabit. The clearest articulation of Kuhn’s final position can be found in The Road Since Structure (2000), a posthumous miscellany. While the presentation rehashes many of Kuhn’s trademark concepts, it also acknowledges and addresses many of the usual concerns. Discussing incommensurability, Kuhn allows that we can always adopt the lexicon of a competing paradigm (listen up, Mr. Morris: this is how histories are written! ), but he still maintains that we can only speak a single language at once, and hence still can’t exactly translate old into new terms. In the title essay — a sketch for a future, never-completed book — Kuhn calls his final view “a sort of post-Darwinian Kantianism.” Kuhn’s theory had always been recognized as “post-Darwinian” in the sense that he argued that the development of science, like biological evolution, is “driven from behind, not pulled from ahead.” Scientific theories are accepted because of how well they solve the problems facing scientific communities at particular historical moments, rather than how well they correspond to the absolute truth about the world. As he was working on his final book, Kuhn realized another sense in which biological evolution could provide a model for the development of science. The diversification of living things into different species, each with a specialized environmental niche, has an analogue in the diversification of science into narrowly specialized fields. And much as organisms from different species are unable to interbreed, the specialized lexicons of different scientific fields make it ever more challenging for different scientific specialists to understand one another. The Kantian aspect of Kuhn’s view has to do with Kant’s notion that our experiences are inevitably filtered through certain categories of understanding, such as the concept of cause and effect. In Kuhn’s words: “Like the Kantian categories, the lexicon” — the way scientists talk about the world within a given paradigm — “supplies preconditions of possible experience.” In other words, the concepts we project on the world inextricably shape how we experience it, and scientists’ paradigmatic lexicon shapes how they see the world. Kuhn is sometimes described as a relativist, full stop; but this isn’t quite right. Kuhn admits there’s something objectively out there. But he qualifies that this thing-in-itself (as Kant put it) is “ineffable, undescribable, undiscussable.” So what can we do? Mostly, we talk, casting our nets over the dark sea. Once we settle on a stable way of talking, we can evaluate claims as objectively true or false. When a seemingly more useful way of talking arises, that’s a scientific revolution. In this new way of talking we can once again evaluate claims as objectively true or false, even if, using the same words as before, claims that were true in the old way of talking might be false in the new way, and vice versa. This is a “coherence theory” of truth, where truth applies not to the world but to statements about the world — and even then only in a given language, only with a given use. This idea is perhaps disturbing, but it doesn’t amount to what critics like Morris think. Morris charges Kuhn with claiming that the world is however we want it to be, but Kuhn in fact claims the opposite. In Kuhn’s view, reality is out there, but it doesn’t speak our language. It remains forever alien, non-linguistic, regardless of how well we seem to describe its various parts. Now, I concede that a lot of this is controversial, and that disagreement with Kuhn can be perfectly reasonable. But there’s a boundary between disagreement and purposeful misrepresentation, and Errol Morris often stomps clear across this line. 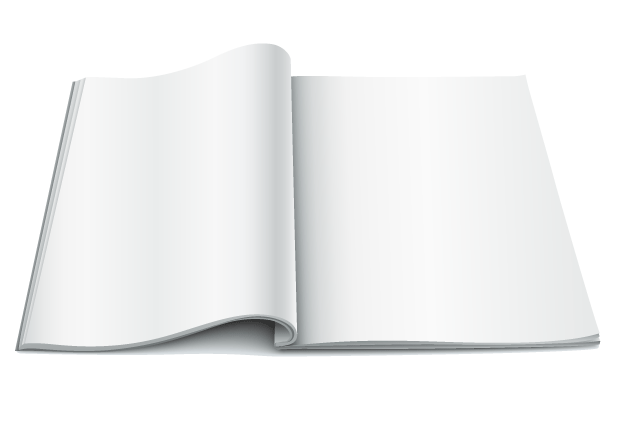 On page four of The Ashtray, Morris states, “Coherence theories of truth are of little interest to me.” He demonstrates this conclusively by failing to explore them for the remaining 180 pages. Instead, Morris imagines Kuhn as the villain in various scenarios — telling children that the Earth could just as well be flat or round, or telling a condemned man that his guilt or innocence is all about the paradigm. Morris barely mentions, and even then only dismissively, that Kuhn addressed Kripke’s ideas in writing. (The short version of Kuhn’s response is that, although causal theories of reference work reasonably well for some tidy examples like gold, they don’t work for terms whose uses have drastically changed over time, like heat or water.) And never, it seems, has Morris seriously asked himself: What did Kuhn really think? For me, Kuhn’s ultimate crime is not the espousal of nonsense. We’re probably, in varying degrees, all guilty of that. No, to me, there is a worse crime. The history of his endless textual revisions and supposed clarifications is a history, among other things, of moral and intellectual equivocation. Several commentators have argued that Kuhn was aware of my criticisms long before I made them. To me, that exacerbates the situation; it does not mitigate it. When I first read this passage, it seemed not to make sense. To me, these “endless textual revisions and supposed clarifications” sounded suspiciously like thinking. And if Kuhn was aware of Morris’s criticisms, shouldn’t Morris be interested in that? Shouldn’t Morris, that bloodthirsty truth-hound, be curious whether Kuhn’s responses had force? Following Kuhn’s advice to pay special attention to seemingly absurd passages and to ask why a sensible person would write them, I reread it. And Kuhn was right — the meaning changed. Suddenly all the stuff about truth seemed sort of moot, and I realized that Morris, the spurned grad student, had gotten his revenge. But against whom? Readers who arrive initially unconcerned may find that Morris has won his fight fair and square, and that Kuhn, that violent obfuscator, has finally gotten the drubbing he deserves. But those of us who look again may notice that Morris has been punching the wrong Kuhn, while the real one sits outside the ring, untouched. Like his imaginary Kuhn, Morris wins the fight for truth only by getting the last word. David Kordahl, "Did Thomas Kuhn Kill Truth?," The New Atlantis, Number 55, Spring 2018, pp. 109-121.